The staff at Samay were beyond helpful , collected us from the airport free of charge, and organised a lot of our tours for us. Would highly recommend to anyone. The rooms were also lovely. Such an amazing place with an amazing view of the entire city and mountains. Close to a lot of incredible restaurants in San Blas. Definitely recommend! This hotel was great! The owner greeted us personally and made sure we had everything we needed, even got us a ride back into town. Clean facilities, comfy bed, hot water, and even eggs for breakfast. The rooftop terrace was definitely my favorite. The view up there makes the hike up the hill worth it. The hostel is decorated with pictures Carlos took himself, he showed us a lot of great pictures he took right around the hostel. I recommend this place to anyone staying in Ollantaytambo! Amazing views and location! I felt really safe here, the staff were really helpful, and the breakfast was nice (eggs, bread and jam, fresh juice, and tea/coffee). Can’t beat the value. The rooms were pretty basic and only downside was that there wasn’t any ventilation (or really privacy) in the bathroom. Showers were always hot though. My stay was great. Since there was nobody else occupying my bed, I was able to check in before the time frame listed. This went the same as for check out. I was able to check out late since my flight was later. I didn’t make it to breakfast however before my trip to Machu Picchu the host set up a coffee for me in the morning since I was going to miss out on breakfast again. The location was great. 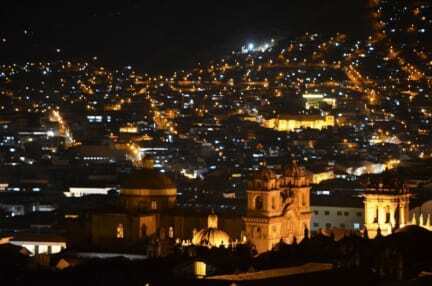 Close to the plaza/ center of the city and waking up to great views of Cusco. Great hostel. Always hot water for showers and very clean. Amazing views and quiet area of city. A couple things to note: kitchen is small and usually cramped. Could use more storage in bathrooms. Staffs English isn't the best so it can be difficult to communicate with them. If you opt for the free airport transfer you will likely get a salespitch about tours and feel slightly pressured to buy through them. Say no and shop around. Overall we truly enjoyed our stay and would come back. The staff were so friendly and helpful. Good price for a private room. The location required a little more climbing up then we would prefer, but it is on an amazing street (San Blas) and the view from the rooftop patio was unbeatable (and the table there was always available somehow). Breakfast is delicious and good value. Really enjoyed our stay, the only thing we would change is that they should find a way for people to leave on their own (without having to be buzzed to be let out every time). We recently just stayed here for 4 days (split). Two days before our trek and two days after our trek. When we got back our pack was waiting in our room and the transition was seamless. 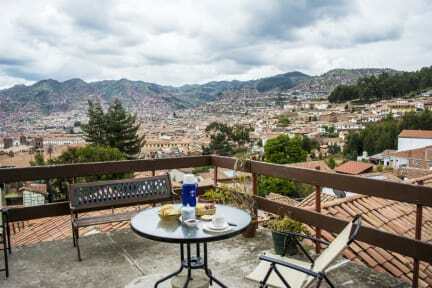 The hostel is in a quiet location overlooking the city and the view is worth it! This is a very very low key hostel and I would not recommend it if you're looking to meet friends and party. It was a great place for relaxation, but we did not see many other travelers. We would stay again. Stayed in two different privates here for 3 total nights. On the first floor private you can hear EVERYTHING being said in the one above it due to ventilation pipes, and the floor between them is so squeaky. So we moved up to floor 2 to avoid this. Otherwise, great location in San Blas, good deck views, hot water always, nice staff, and cheap breakfast (you get coffee, bread, and marmalade for free). Not a social place, in fact I rarely saw anyone but the staff. I would not say that this hostel is deserving of its 10 value rating. Fair enough they collect you from the airport/bus station if you book 2 or more nights which was nice, but don't expect to be amazed past that point. The breakfast is just bread and bananas. Staff are lovely, let us check in early, but we did get put in the dorm directly next to reception which was noisy. No lockers in dorm. Shower was best in Latin America (few ants though). Beds comfy. Excellent view of city. Fairly quiet.